This 103 space 15 acre property is a very desirable community. Trumans Annex is located at 2245 Fairview Street in Christiansburg, Virginia, approximately two miles off I-81 at exit 118. In general the population is 55 and older. 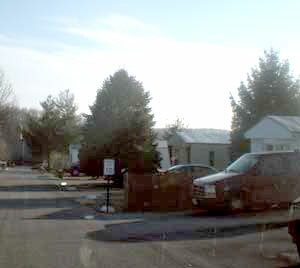 Lot rent is $292.00 per month, and mobile home rentals start at $450.00 per month. Our pet policy is 25 pounds and under; no aggressive breeds allowed. A one time refundable pet deposit is required for each pet. Young students living here attend Falling Branch Elementary, and Christiansburg Middle and High Schools. If you are looking for a quiet, low key community, ask our staff to see if a home is available for you. Call 540-552-3034 or email us today!